Are you searching for best beat making software to create a new beat and mix up the music? We are going to some of the best beat maker software in our today article. Windows is a very popular OS around the world as it lets you do so many things on it. You can complete your everyday tasks with ease on it and also you can do something specific on it. Everyone loves music and most of you will be interested in playing with the sounds. If you are looking to compose music and become a music composer but don’t have the required talent to do it, you can take help of the beat making software that are available for free on Windows. The software will help you to compose music and let you save the composed music in any format you want. These software have many features and you don’t need any extra skill to use those features in the software. Let’s see best free beat making software for Windows that will help you to pursue your dream without any additional type of equipment. If you are a Mac OS user you can check Garageband for PC beat making software. 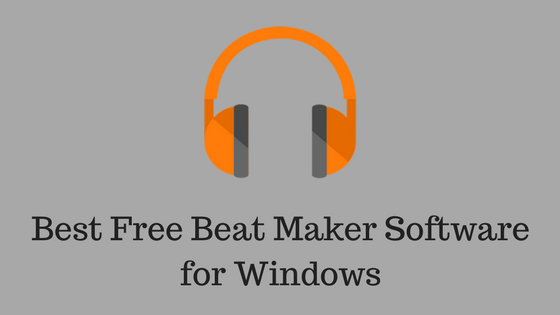 Let’s have a look at the best free beat making software for Windows and let us know which one you like to use. It is one of the feature powered software that lets you create beats and music for free. It has various tools that can bring out your creativity and can also automatically make a bass line, patterns with the tools like the pattern and step sequencer, synthesiser, etc. It has lots of patterns that can be listened very easily and it also lets you change tempo, compressor and style according to your needs. 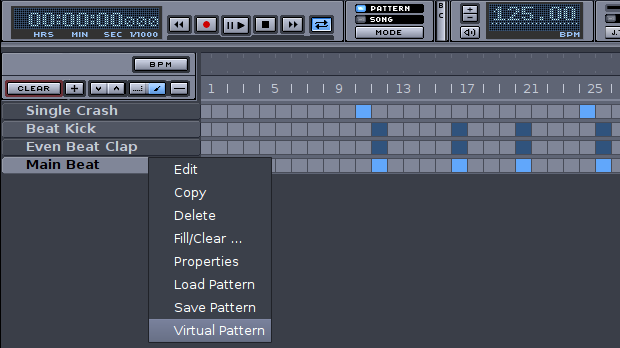 You can create songs by assembling various patterns and also lets you modify and save the drum kits. DrumFlow is free beat making software which is designed to make the perfect music you are looking for. It has lots of sample DFA files which you can listen to and you can also use them to make your own drum sequence. It allows you to adjust tone and pitch while producing the beats and you can also add grooves to the patterns. 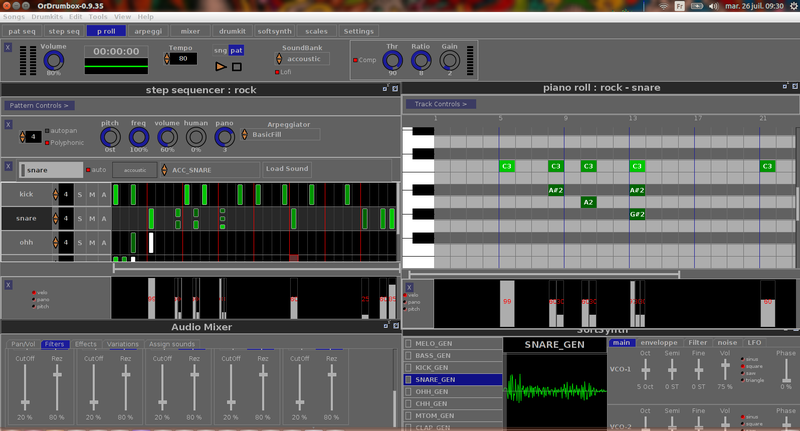 It has 16 drums and 32 sequencers with 127 possible drums. You can adjust the drum parameters and also MIDI settings. With all these features, you can definitely make some good music. This beat making software is very simple to use and beginners can easily compose music on it with various features loaded in it. You can zoom in or zoom out to make the notes precisely. It has fast note input with a wide range of marks. It also lets you control everything with the keyboard shortcuts. You can make music without worrying about note duration, page margins, bracket numbering, etc., as Musink will note and take care of them with ease while you compose the music. This beat making software lets you compose your own music with its easy to use interface. 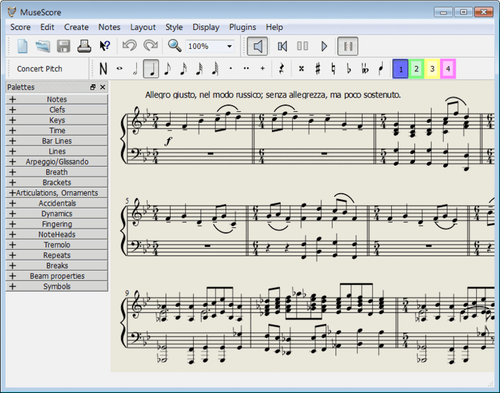 You can use your keyboard and mouse to write the notes very quickly and you can save your music sheets in PDF format. You can also save the music scores in many audio formats like WAV, OGG, MID, etc. 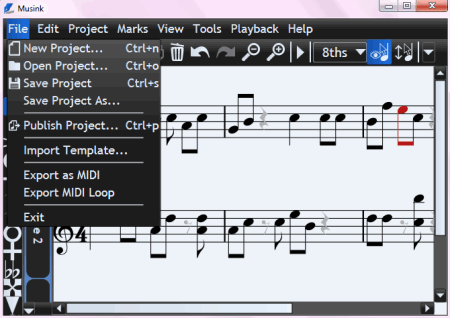 This also lets you import files of various formats which would help you to use them in composing new music scores. It is advanced drum machine software that lets you create music with various tools and inbuilt features. You can either create a new pattern altogether or you can add the sound from its library by dragging the drumkits to your sound pattern. 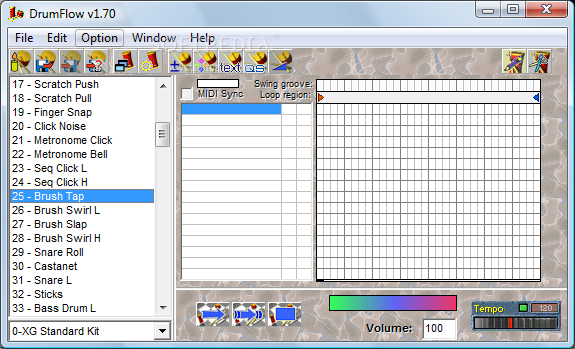 It has an unlimited number of patterns with multi- layer support for instruments. You can export your created sound pattern in many file formats such as mp3, WAV, etc. It is very simple to use Hydrogen and can be easily recommended for beginners. It is another great beat making software, and we also recommend it. It is easy to use and very affordable if you are a professional who lives in music making. It has all the professional tools, and hence it is popular in the field from years. Using it, you can create your songs and music with a few clicks. No worries if you are a beginner because there are no of tutorials available online that to guide you to make better music. 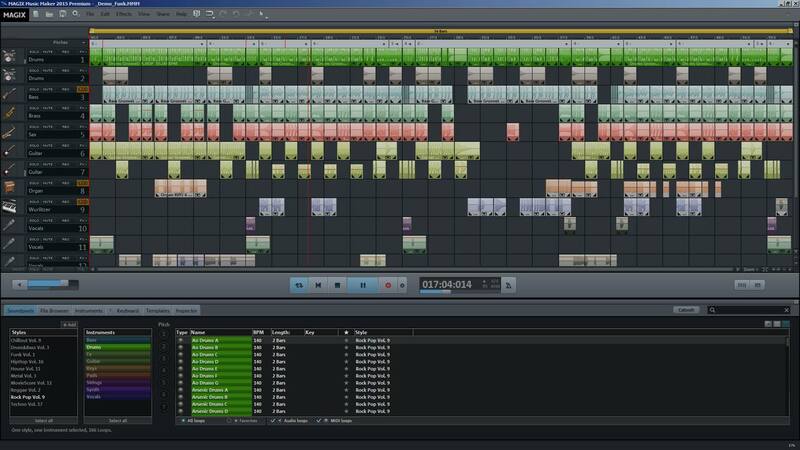 It already has thousands of different preset which can use for beat making. 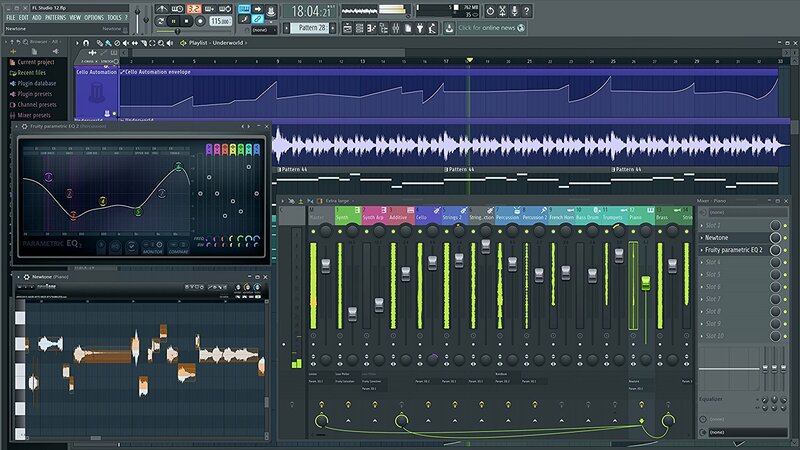 If you are looking for a software to compose something unique with your creative mind, then FL Studio is the excellent option for you. The best part is it is free to use for windows user. To enhance your skills, they have multiple inbuilt tools features available; using it, you can easily mix the record tunes, and record, create, or edit your kind of music inside the software. It has easy and simple UI and displays many cool features such as copy-paste to help novices. You can easily compose your own music with so many free beat making software available. The software is very easy to use and even beginners can use it and learn it to compose music.